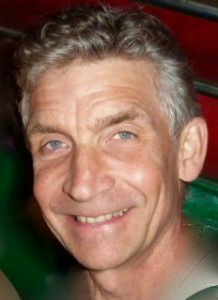 Peter’s gentle touch and extensive clinical experience, his ability to synthesize and choose wisely from a wide depth of knowledge, give him an almost unique ability to solve problems for his clients. It was 1996 when Peter first had his belly “unwound”. It was profound. After a few more sessions of this abdominal touch therapy – Chi Nei Tsang – he noticed a significant improvement in his health. This gentle precise visceral bodywork – centred on the internal organs (intestine, stomach, liver) – effectively released physical and emotional tension and trauma. Peter has dedicated himself to a search for the most effective global visceral healing practices. This began his training in both traditional and modern, eastern and western therapies. These studies have taken him throughout North America, and many times to India and Thailand. His primary therapeutic training, in Visceral Manipulation (VM) and in Chi Nei Tsang (CNT), began 20 years ago. 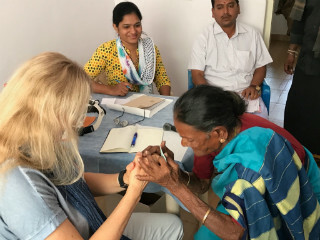 These practices are largely unfamiliar to the public, compared to more familiar practices such as massage & craniosacral therapy. More recently, Peter’s eclectic approach to healing has had him add other therapies to better help those with issues relating to the brain & the nerves (Neural Manipulation), stubborn tension & old injuries (Tok Sen), as well as allergies & sensitivities (Total Body Modification). Peter is a widely respected teacher in the field. He has also been an athlete all his life. For the last 25 years soccer has supplanted cycling and yoga as his favourite physical activity. He continues to play as many as four times each week. Peter Melnychuk is dedicated to physical, emotional, spiritual fitness for himself and his clients. 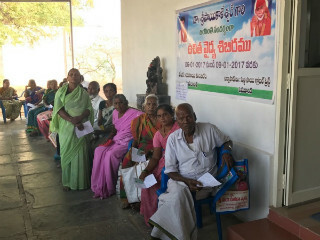 In January 2017 Peter Melnychuk was invited to work in a three day free medical clinic for the poor in Penukonda, Andhra Pradesh, India. It was a great joy to have the chance to help out twelve time zones from Alberta.